I am a paddlier and a deep lover of nature. I own a kayaking school in Jackson, Michigan , Quiet World Sports, LLC. 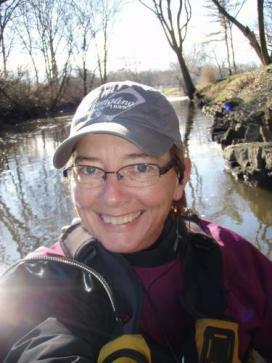 I am the Rivermaster for the Grand River Environmental Action Team (GREAT) and am a member of the Upper Grand River Watershed Alliance, Jackson Fitness Council, Great Lakes Paddlers, Quiet Water Symposium, Sierra Club, and Michigan and Jackson Audubon. It is my intention to do everything in my power to clean up and beautify my watershed and everything connected to it.